It’s not unusual to see families linked by shared interests in a farming venture. But a Dutch cooperative has taken the idea to a new and exciting extreme. 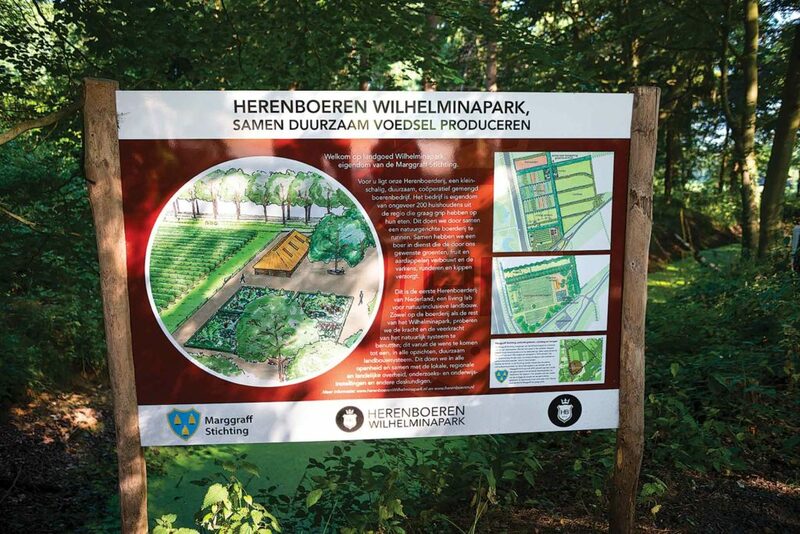 Herenboeren (“Gentleman Farmer”) has brought 165 families together as co-owners of a diversified operation on 50 acres of rented parkland in the city of Boxtel in the southern Netherlands. The idea is spreading across the country as new Herenboeren pop up. 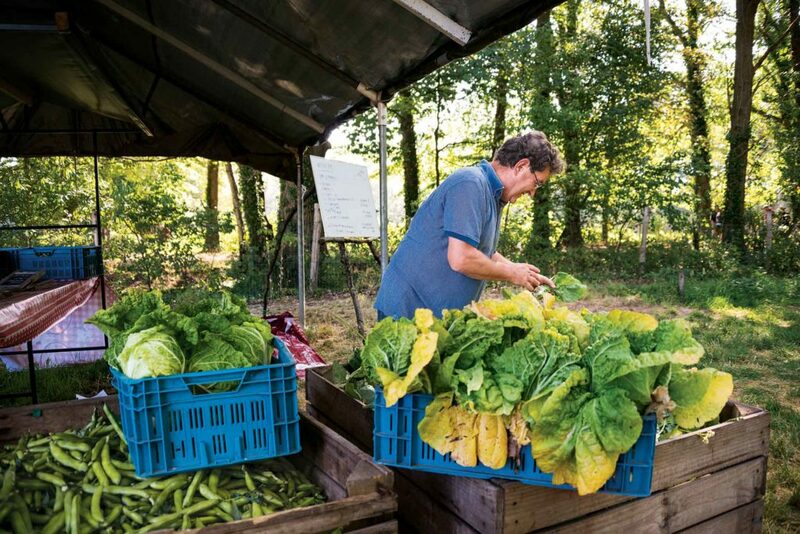 Families pay a one-time fee of €2,000 ($2,267), then a weekly share of approximately €10 ($11) per person for a portion of the farm’s vegetables, beef, pork, eggs, chicken, and fruit. The money, boosted by a grant from a foundation called Marggraff Stichting, covers an annual operating budget of $295,000. That includes the $51,000 annual salary of Geert van der Bruggen, Herenboeren’s hired farmer. Van der Bruggen, who grew up on a dairy farm, managed cattle, brokered potatoes, and sold tractors, was one of three applicants who responded to the founders’ 2015 want ad in the newspaper. The guts to do it. “We wanted somebody who looks like Geert,” says Boudewijn Tooren, one of the founders of Herenboeren. 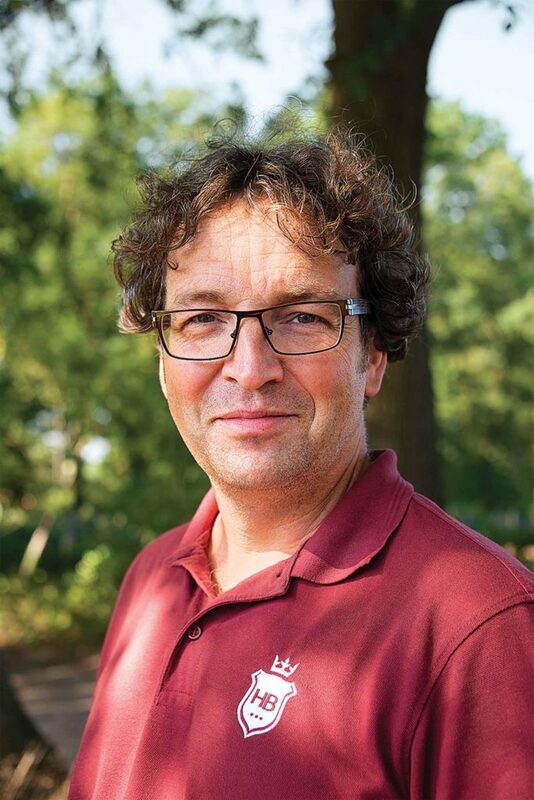 Another co-founder, Douwe Korting, adds that van der Bruggen’s qualifications extend beyond his university degree in livestock management and his job experience. Douwe Korting is one of the founders of Herenboeren, and is working to spread the idea nationwide. “He has got the guts to do it,” Korting says. Van der Bruggen is responsible for producing 55 different kinds of vegetables, beef from a rare Dutch breed called Brandrood (Fiery Red), pork from free-range hogs, poultry, and tree fruit from a three-year-old orchard—all without pesticides. Needless to say, he is on a steep, constant learning curve. And he’s doing all that learning in public view. As they watch, Herenboeren families are also discovering the realities of farming, from droughted-out crops to foxes in the hen house. Those real-world lessons have brought the community closer to the farm and the farmer, Tooren points out. practical line—“You’ve got the cauliflower, and you’ve got the nutrition of the caterpillar”—followed quickly by tips for soaking the vegetable heads in salty water to float out the worms. Mattie du Vivier, who works at a power plant, volunteers at Herenboeren on Saturdays. Here, he readies produce for pickup from the farm cooperative’s 165 member families in Boxtel, near the Dutch city of Eindhoven. Ultimately, the reality checks will help the Herenboeren community achieve the ecologically oriented, recycling-driven farming approach that its organizers strive for. Community voice. The family owners of Herenboeren are polled at the end of each season about what they liked and what they want next year. But the farmer has the final say. “There’s a discussion between the community and the farmer. He tells us what is possible in the soil and what is reachable for us. The community tells us what they want, but when members are asking for mangoes, you can say, ‘that’s very nice,’” says Tooren with a wry, knowing smile. On a summer Saturday last year, Herenboeren member Mattie du Vivier prepared a huge tote of peas and cases of lettuce and cabbage for the weekly pickup, when the farm gates open to members who load up their baskets with their shares of the harvest. Du Vivier says he and his wife used to shop organic—he uses the European term “biological”—but they prefer the Herenboeren experience even though it is not certified organic by a third party. The Boxtel Herenboeren cooperative is growing toward its capacity of 210 families, and building from its current 42 weeks of deliveries to a full 52 weeks of meat and vegetables per year. In all, the goal is to supply about 60 percent of a member family’s food needs for the €10-per-mouth weekly fee. Korting says that is comparable to buying organic food in the grocery store. Meanwhile, the movement—spurred by the Herenboeren Nederlands Foundation, a farmer training program, and a manifesto published last fall by the foundation—is catching on in other communities. Twelve other Herenboeren initiatives have been launched around the Netherlands, and the founders have dreams of 1.7 million acres of community-owned, diversified farms by the year 2060. “I think it can be a game-change, putting the farmer closer to consumers,” Korting points out.